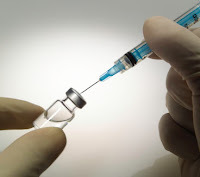 Enrich Gifts: Getting the flu shot? Think again. Should I get a flu shot this year? It seems like the mainstream media is really worried about the country’s pregnant women and health care workers. Why? It appears that these groups are not that eager to roll up their sleeves for the flu vaccine. And they are very worried that we will all get sick. Last year, in 2011, fewer than half of pregnant women got a flu shot and a third of health care workers said “thanks, but no thanks.” In the 18 to 49 year old age group, only 29% were vaccinated. Last year, 128 million people (42% of the population) were convince by the media an received a vaccination. They were told that when it comes to fighting the flu, you need a vaccination every year because of new mutations in the virus means a different flu, and therefore an updated vaccine. Wow! Talk about a marketing dream! But here’s the catch. Manufacturers need to develop each year’s vaccine and introduce it BEFORE that year’s flu season. In essence, they are guessing how the flu virus will change from year to year. That means they could be creating completely useless vaccines. In fact, health officials flat out admit that this year's vaccines aren't specifically formulated to protect against some new strains but "they may offer some help." Wow, how helpful. They are confused as to why people aren’t lining up for flu shots. Some experts think it’s because of milder flu seasons (and the H1N1 scare was much about nothing) are giving people a false sense of security. Or maybe people are just getting wise to the truth about flu vaccination. Could it be that people are finally realizing that constant mutation means playing Russian roulette with a shot of potentially dangerous drugs? Or are they are wising up to the fact that flu vaccines get very little testing before they are rolled out? Maybe they know that fighting the flu doesn’t mean getting a shot. They may finally understand that fighting the flu begins by building a strong immune system – something that can be done naturally and safely. Vitamin C: Adults should take a minimum of 3 grams per day (kids should take less). Animals that make their own vitamin C ramp up production when they get sick--up to 10 times more than their bodies make when they're well. Dr. Wright recommends taking the "bowel tolerance" level of C when you're sick--take as much as your body will tolerate without diarrhea.